being little • bristol uk fashion & lifestyle blog. : tiger scarf. I don't usually like to accept things to review without knowing what they are, but when Kellogg's said they wanted to send me a surprise, I couldn't resist. 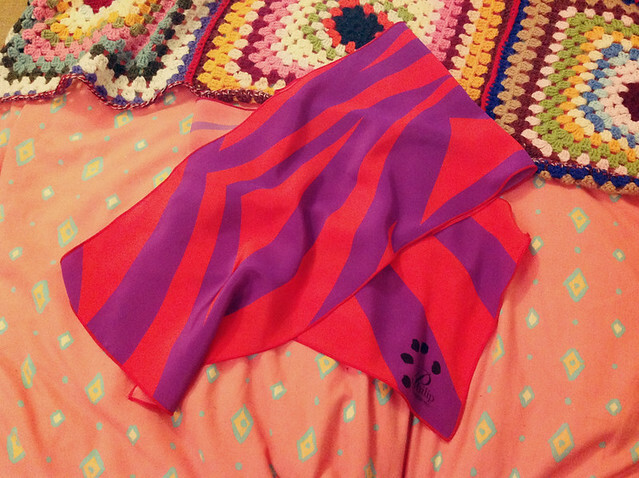 I had kind of hoped that they might send me loads of Coco Pops, but I was very pleasantly surprised when the mystery parcel turned out to be this scarf, designed by Philip Armstrong! 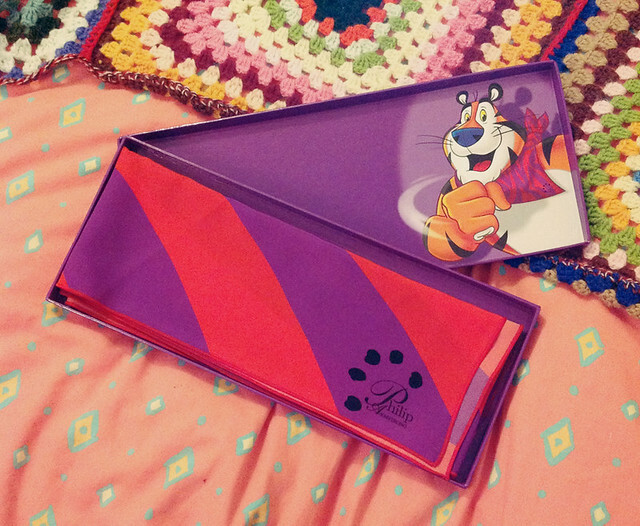 It's Tony the Tiger's diamond jubilee, so they've given his neck scarf a little revamp! He's looking really good for 60 years old! 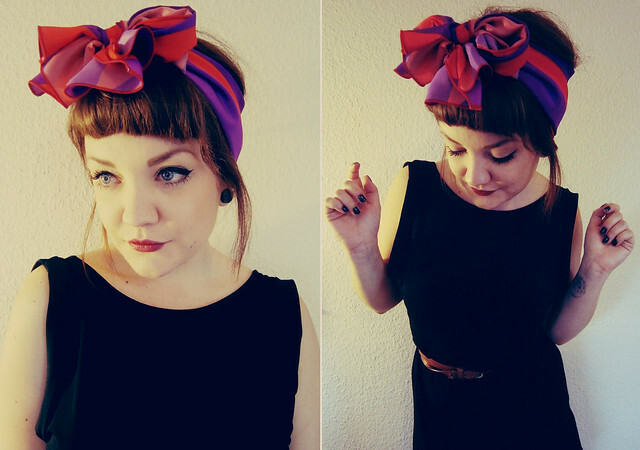 I'm more of a headscarf kind of girl, and this is long enough to tie in a bow on top of my head. It's so vibrant, so I just paired it with a simple black dress from H&M. There are 500 of these scarves available on eBay at £6.99, and all proceeds will go towards Foodshare food banks, to provide 12,000 breakfasts to hungry schoolchildren in the UK! Or, if you like Kellogg's on facebook you could win one! This looks great on you Lyzi, I was asked if I wanted to receive the surprise aswell but mine never arrived! 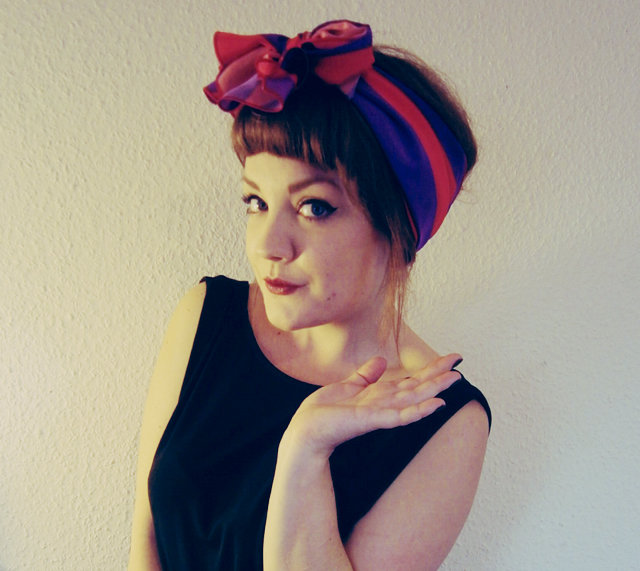 This looks SO cute on you, colour suits your hair really well! Love your blog, forever reading! Also would love to see a post on all of your tattoos, when you got them, why you got them? I've seen sneak peeks of them but would love to know more! This scarf is lush. I saw it on the Pink Princess blog, then completely forgot about it. I am definitely getting it. You look so cute Lyzi! The scarf looks so lovely! The scarf really suits you in your hair! Too cute, it's lovely colours as well. What a lovely concept, and you wear it so well too! It looks fab in your hair! You are so pretty I want to cry. 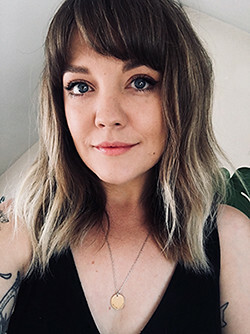 Just stumbled on your blog and I love it. I especially love your scarf what a lovely thing to get free.